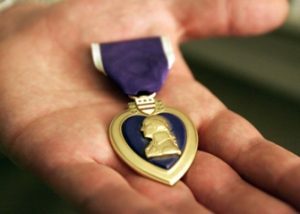 The Purple Heart is the oldest award that is still given to members of the U.S. military. It is a United States military decoration awarded in the name of the President to those who have been wounded or killed in combat while in service of the U.S. military. Earlier in 2011 a policy change took place since commanders may have wrongly denied the Purple Heart to soldiers who suffered battlefield concussions, the Army plans to issue new guidance to clarify when such recognition is warranted. There are brain-injured soldiers, some involved in the Operation Game On who should have been awarded this medal, in recognition for their service. The Army’s official list of wounds that “clearly justify” the award includes, “Concussion injuries caused as a result of enemy generated explosions.” Soldiers and their advocates welcomed the Army’s new guidelines while the other branches too will soon update their policy. The Purple Heart brings few medical or financial benefits, but is a tangible symbol of having fought and suffered for one’s country. It is also the only military award that is considered an entitlement—an honor earned through individual sacrifice, rather than awarded by a superior officer. Operation Game On recognizes and honors these recipients and their families and wishes to provide those that are willing and able a chance to enjoy a fun wholesome outdoor activity that can keep them swinging for the rest of their lives. It’s Game On! Let’s go golfing!